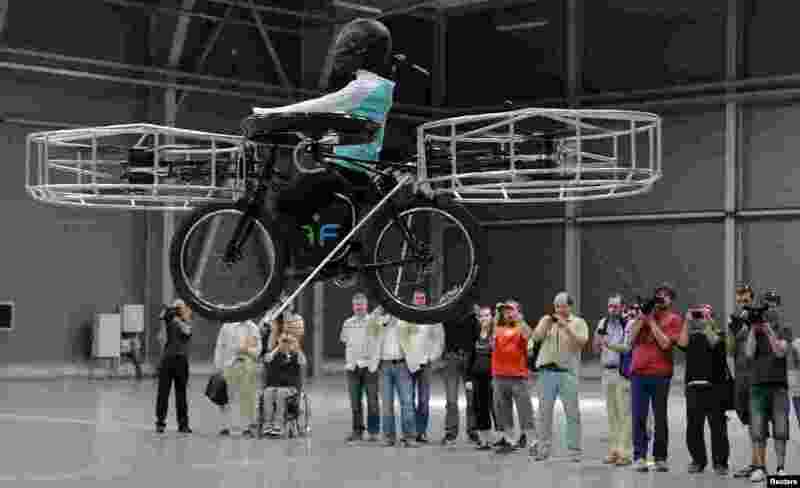 2 Journalists attend a presentation of a flying bicycle, carrying a dummy, at Letnany's fair hall in Prague, Czech Republic. The flying bicycle, which was created by Czech designers, is kept aloft by six electrically-powered propellers. 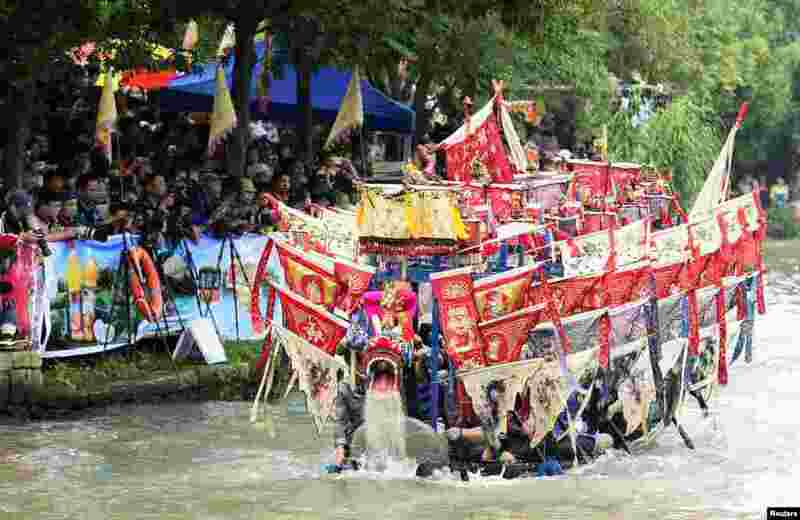 3 Participants paddle a dragon boat to celebrate the Dragon Boat Festival on a wetland in Hangzhou, Zhejiang province, China. 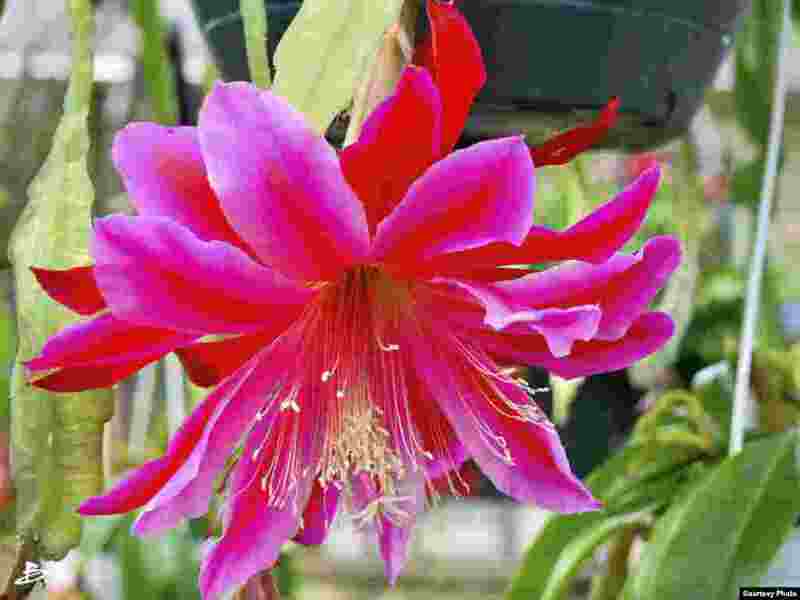 The festival, which falls on June 12 this year, commemorates the memory of Chinese patriotic poet Qu Yuan, who drowned himself in 277 BC to protest against the corrupt government of his time. 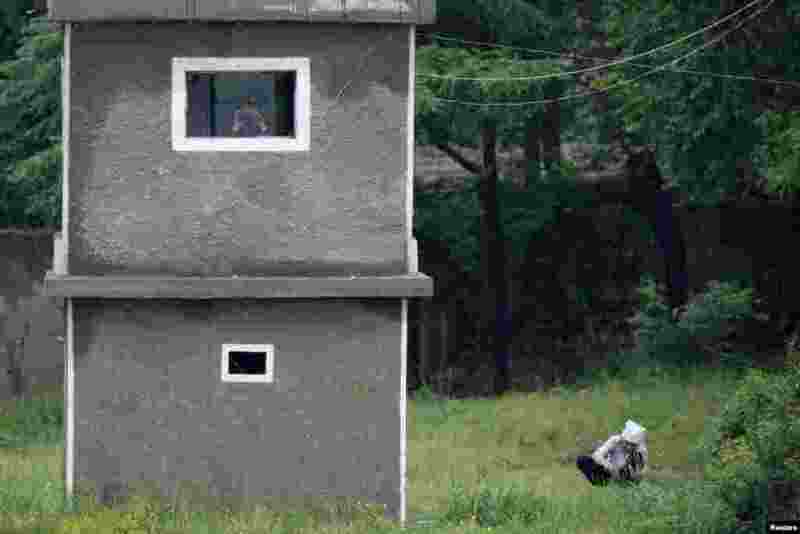 4 A North Korean soldier uses binoculars inside a guard tower as a woman works on a grassland on the banks of Yalu River, near the North Korean town of Sinuiju, opposite the Chinese border city of Dandong.